If you’ve never been to Sweden, McDonald’s just gave you one more reason to venture to the land of meatballs: bite-sized falafel nuggets. The vegan snack will be made with chickpeas, parsley, garlic, and cumin. As a vegan happy meal, the McFalafel will come with a side of apples, carrots, or fries and your choice of one of two dips: a yogurt sauce with herbs or a vegan pepper dip. Notably, this isn’t the first time McDonald’s rolled out the McFalafel. Back in 2011, the fast food chain tried to bring the vegan meal to Israel, but the experiment didn’t work. 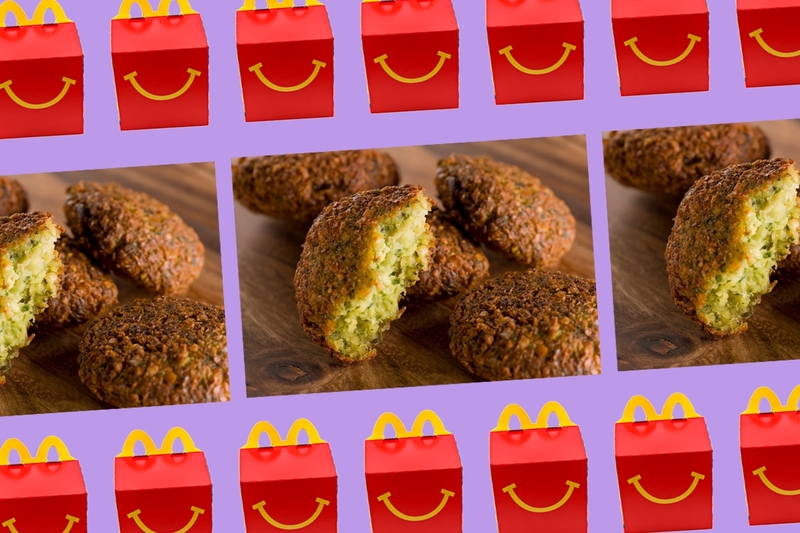 “We realised that falafel doesn’t belong in McDonald’s,” Omri Padan, chief executive of McDonald’s Israel told Ynet. Will it fare better in Sweden? Only time will tell. The fast-food chain’s first vegan option, the McVegan burger, was so successful in Sweden and Finland when it launched in 2017 that McDonald’s gifted the Nordic region with another plant-based snack. And since vegan food is growing in popularity around the world, we predict this won’t be the last fast food foray into meat-free options. McJealous that the McFalafel belongs to Sweden? So are we. Hopefully the vegan happy meal makes its way outside the Scandinavian nation, but in the meantime, check out our falafel slider recipe which makes for a delicious party snack. The best bagels, pastrami, hummus and sweets to nosh in Beantown.